When Amazon.com first started its trade-in service several years ago, it drew customers in with generous bonus offers, great values, and the excellent service the company has always been known for. We reviewed the service in August 2010 and absolutely loved it and highly recommended it back then. Fast forward to February 2013, however, and the service is very different and, unfortunately, not really worth your time anymore. Note that this isn't about buying from Amazon (they're still beyond great at that), this is about trading items in to them for credit. We have used Amazon's Trade-In Service extensively over the past several years - mostly to clear out our last-gen game (Xbox, GCN, PS2) collection and get rid of a shameful stack of HD-DVDs (boy did we bet on the wrong horse there ...). This article is driven largely by our own experiences, but we also have seen plenty of evidence from other users around the 'net that these problems may be systemic and not just isolated incidents. The main problem with Amazon's Trade-In service is that the rules and policies have changed a lot over the years. This is understandable - Amazon is trying to make money first and foremost and there have been glitches and problems in the past that likely cost Amazon quite a bit of money (such as trade values for certain DVDs or games that clearly weren't worth that much being inflated to hundreds of dollars) - but the policies have swung so far in Amazon's direction that they are almost anti-consumer at this point. Here's some examples. When the trade-in service first started, there was no requirement for the condition. You could trade in a disc-only movie or game and get the same price as a complete one. Amazon later instituted condition tiers that offered different values depending on condition. This was a genuinely good policy for both Amazon and consumers because it rewarded customers for trading in good quality items while also giving Amazon quality products it could actually re-sell. This also, however, opened up a couple of new problems. Amazon's rules for condition quality are pretty subjective, and depending on which person processed your trade-in, it could be denied purely based on the mood of the person that particular day. Couple this with ignorance over what was actually supposed to be included to be "complete" (publishers not including printed manuals the last couple of years certainly hasn't helped) added a lot of confusion and frustration to the process when things would be denied that really shouldn't have been. Along with the new condition policy, Amazon let you choose whether to take a lower value if the inspector downgrades it to a lower quality, or have them send it back to you. The problem with this, obviously, is that it is in the company's best interest to give you the lower value, so if you chose to let them keep it and have them give you a lower trade-in value, more often than not they would take advantage of it. Now, the option to let them give you a lower value is purely up to the consumer - and sometimes it can even be useful if you truly aren't sure about the condition and don't care about the value - but taking this option on new/complete items is almost ensuring yourself of getting half (or less) of an item's real value. Another policy that has greatly diminished Amazon Trade-Ins' appeal is that values for games rarely approach the $30 mark anymore. We don't expect older games to hold their value for very long, but even new releases only crack the $30+ range for a couple of weeks before the value plummets. Movies seem to top out at just $20 (even for far more valuable stuff like the Bond 50 Collection). Even worse, the movie values only apply to brand new in shrinkwrap items. Opened movies get significantly less than the already sad new values. The reason why we liked Amazon so much in the past is that its values were outstanding. You could regularly get $35-40 for new releases, and older games had solid values as well. They were far better than GameStop and even comparable to eBay prices since you didn't have to pay any extra fees to trade to Amazon like you do on eBay. Nowadays, though, Amazon's values actually manage to be worse than GameStop, which is pretty shameful, all things considered. It isn't like GameStop has good values, but when you can add on an extra 30% bonus or more depending on the promotion going on, it makes their values pretty decent. Amazon doesn't have any sort of thing like that. No promos. No bonuses. No incentive to bother using them at current trade values. Update April 2013 - Values have been creeping back up as of late and aren't offensively bad anymore. Both game and movie values are up across the board. Strangely enough, things started improving shortly after this article was published ... weird. It remains to be seen if the other issues mentioned in the article have been improved, but at least the values are decent again. Another issue with Amazon's Trade-In service is that the logistics of the trade-in process has greatly deteriorated in the last year or so. In 2012 the trade-in facility moved from New Hampshire to Kentucky. This new facility has opened up a new laundry list of problems. Processing time has greatly increased from where items would be received and processed in just a couple of days at the New Hampshire facility, to now in KY they take more than a week to even acknowledge they received something even if you have a tracking number that shows it was delivered. I have also heard complaints from other customers about items they send in with a well-packed box in great condition being denied as damaged and coming back to them destroyed, which obviously shouldn't happen. Other customers have reported that the items they send in, and the ones that are denied and sent back, aren't always even the same item they sent in the first place. We had items flat out lost at their processing facility - items that are in the same package where one will be processed and properly credited, but the others were mysteriously "not received". Something is rotten in the state of Kentucky. After a bad trade experience in December 2012 (that stretched well in January '13 before it was all settled), we did a little digging and found out that the facility is also putting extensive extra strain on the USPS office in Hebron, KY where the trade-in facility is located. Talking to my local USPS postmaster, who called the Hebron postmaster for me, we found out that the Hebron post office regularly has a backlog of multiple semi-trailers full of packages waiting to be sorted and processed for Amazon. They don't have the manpower or equipment to process them fast enough. When you couple this with the 25-day deadline for Amazon to receive and process your package (along with how slow their processing is after they actually receive your package) it is entirely possible your trade-in will expire and be denied and returned to you, even if you sent it with plenty of time. And then, of course, after 25+ days the value will have dropped not only at Amazon but everywhere, so your item won't be worth as much. One positive thing about Amazon is that after all of these problems, they are almost always willing to just concede and give you the credit for your items anyway. However, this is a double-edged sword. If you play this card too many times, Amazon can and will just outright ban you. Not just from trading, but from using the site at all. That is a bad thing. Generally, if you have adequate proof that you are right in your claim, you shouldn't have much to worry about. All of those claims (even the justified ones) do add up over time, though, and your next complaint (even a legitimate one) may be the one to do you in. Considering how problems with the service have increased exponentially since the service started, it might not be worth the risk anymore. All of this brings us to the conclusion that we cannot recommend people use Amazon Trade-In anymore. The values are awful. The trade-in process seems to be broken on a fundamental level. And as great as Amazon's customer service is at trying to make consumers happy, you can only lean on them so much before they decide you aren't worth the trouble anymore. Perhaps in a few months, Amazon will change its policies and these problems will be fixed and we'll be able to re-re-review the service and recommend them again. Until these things get sorted out, however, we recommend you use some other trade-in service (Best Buy, SecondSpin.com, GameStop, eBay) because Amazon Trade-In is bad news as of February 2013. In the process of putting this story together we have reached out several times to Amazon to try to get some sort of comment on this, particularly on the tremendous drop in trade values, but never got a response. Edit - We did finally get a response, and will update the article with any new or important information as necessary. 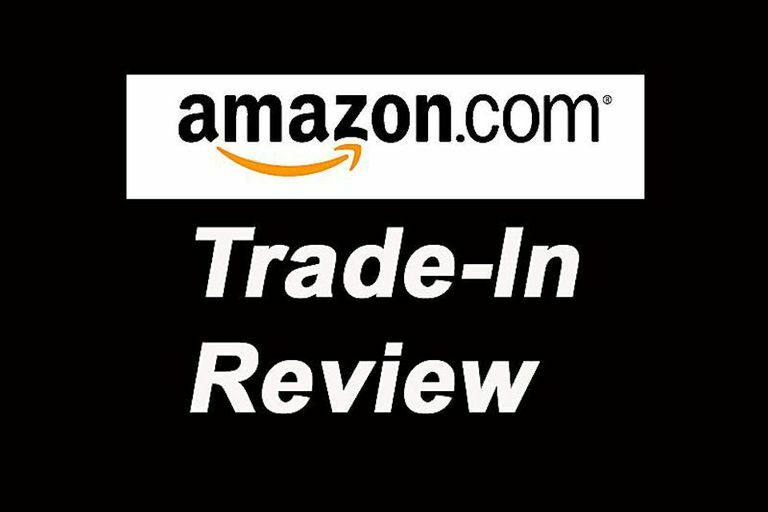 Update - August 2015 - It has been more than two years since this article was published and there haven't been any notable improvements to Amazon's Trade-In service. Prices are still mediocre, and the turnaround time for items getting processed has actually gotten significantly worse. It can now take up to (and exceeding) two full weeks after they receive a package to give you credit for it, which really kills the convenience factor. You are probably better off just trading games to GameStop and getting Amazon Gift Cards (usually labeled Kindle gift cards but they're all the same) if you're looking for Amazon credit.